Kidrobot Kronikle has finally revealed the Golden Ticket Dunny by Sket-One for the 2010 Dunny Series. 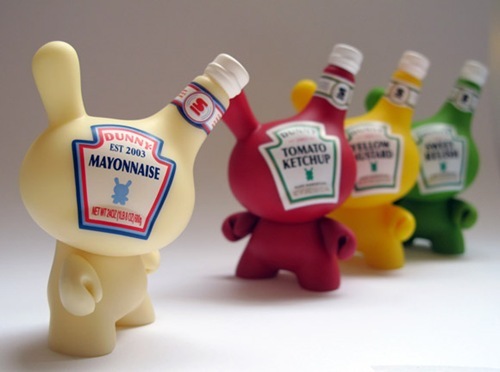 What do you know, it’s the Mayonnaise Dunny, which completes the set of condiments you would find on a burger. We cannot wait to see the Dunny die hards with a complete set of these. I'm surprised 4 Dunnys are associated with Sket-One in this series. Don't get me wrong, I want those 4 and love them, but couldn't something more original be thought of? In any case, can't wait for the 2tone series!